This white paper outlines the advantages of focusing your AP automation initiative on the payments piece first. 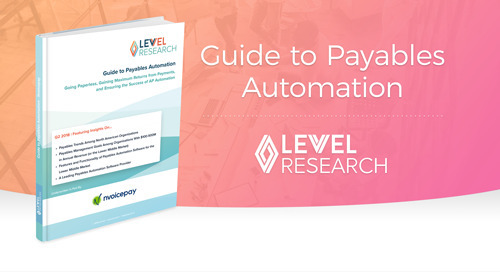 Learn about the perceived financial and budgetary issues that organizations face when considering payments automation. Discover how starting with payment automation enables organizations to save costs immediately and capture discounts on current invoice payments. Find out what features define a best-in-class payment solution that enables your AP department to focus on more strategic cost-saving opportunities.